So, in the past few weeks, my life has been delightfully consumed and blessed by the publication of the last My52WOW Book Club Pick – my book, My 52 Weeks of Worship: Lessons from a Global, Spiritual, Interfaith Journey. Just yesterday, I had the chance to share the My52WOW story with Steve Edwards on the Afternoon Shift (WBEZ). I am excited by the continuation of the journey, and all the great people I am meeting along the way. Between my book publication and now, there was another book that I have already completed. I didn’t have time to post it, but it was the most recent pick for the My52WOW Book Club. 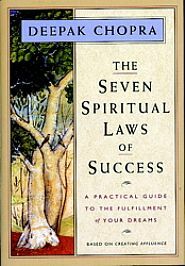 The name of the book was The Seven Spiritual Laws of Success: A Practical Guide to the Fulfillment of Your Dreams, by Deepak Chopra. As Mr. Chopra mentions at the end of the book – this is the kind of book that invites committed study – deciding, for example to read and reread the book. Mr. Chopra invites readers to focus on one of the laws of success every day, for example, over a period of time, and see how that focused study impacts your life. I agree that the power of this book can likely not be felt with one quick read through the book, as I did. If any of you choose to commit to focused study of all the laws, please report back and let us know how it impacted you. It’s time for me, however, to move on. I scanned my bookshelf to see what the next book would be for me. My eyes landed on a section of books that have been given to me by my mother and my sister, both devout Christians. They are supportive of this journey of mine, but at every turn, they are providing me with books and sources that will help me soak in Christianity, as they are convinced and feel compelled to share their faith with me. I of course appreciate their sharing. 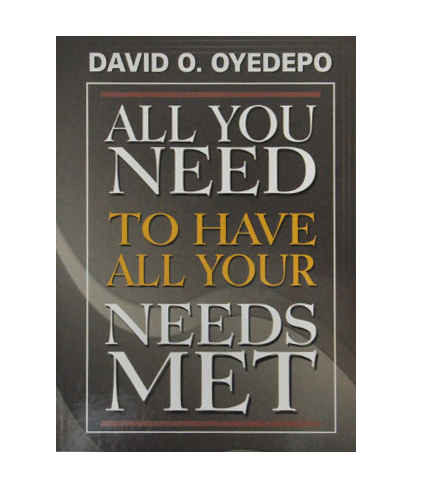 So, the next My52WOW Book Club Pick, and the book I will be reading next is called All You Need To Have All Your Needs Met by David O. Oyedepo, a well known pastor in Nigeria. It is short, but appears to be power packed so I look forward to reading it. If you too choose to read it, please let me know what you think!